Those myths are wrong. And those myths are dangerous. Take ransomware: it’s often that only the big companies only make the news, but small businesses are still vulnerable. A 2017 survey by Intermedia found that 40 percent of businesses hit by ransomware had fewer than 100 employees. Meanwhile Symantec notes scammers aren’t just after data or cash. It reported an 8,500 percent increase from 2016 to 2017 in attacks designed to hijack the victims’ computer systems to ‘mine’ for cryptocurrencies. 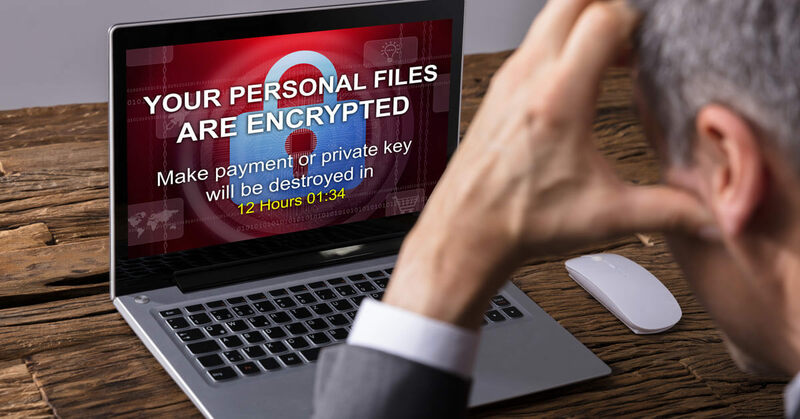 That brings physical problems such as systems being slowed down or even overheated, as well as financial problems if the scammers start using a business’s cloud-based storage and processing, racking up its bills. Getting 32 malware-ridden apps through the Google Play Store’s vetting process in eight months, something that’s particularly worrying for small businesses that let staff use Android devices to work on the move. Staff downtime: with computer systems out of action, staff may be simply unable to work, wasting time and money. That could mean missed deadlines, contract breaches, and even overtime payments as the business struggles to make up the delays when it’s back online. Reputational loss: if customers, suppliers or partners take a breach as a sign they can’t trust a business with their information, they could jump ship. Financial penalties: as we detail below, numerous regulatory requirements on data handling mean a business is fined for a breach. Just as importantly, clients such as government agencies may be unwilling or even unable to deal with a business that hasn’t followed the rules. The ultimate loss: while statistics vary dramatically, it’s clear that bankruptcy or liquidation is a genuine risk for businesses hit hard by malware, data breaches and other severe data-related disruption. Remember also that cybercriminals aren’t the only cause of data loss and breaches. Businesses must factor in data loss caused by disgruntled insiders, the threat of corporate espionage through spyware, and even losses from accidents, whether technical or physical. Even without factoring in a business’s own risks, properly addressing data security may be a legal necessity. Here are just four of the most important sets of regulations. DFARS is a requirement for any Department of Defense contractors handling controlled information. It’s a wide-ranging set of security measures including on-site and cloud based data storage. As well as complying with the rules, contractors are responsible for checking their subcontractors are also compliant, and for reporting breaches within 72 hours. FISMA requirements affect any business contracting for the federal government. The comprehensive requirements aren’t limited to security controls but also include risk assessments, security reviews and certification, and even a complete inventory of all information systems an organization uses, categorized by risk level. Simply put, HIPAA covers any organization with access to patient information; this includes healthcare providers and administrators and their subcontractors and business associates. The requirements for data handling are very detailed and specific, with key points including both physical and technical safeguards covering access, storage and transfer of data, along with audit reports and measures to confirm data has not been destroyed or altered. PCI DSS affects any organization that accepts, stores or transmits cardholder data, whether in person, over the phone, or online. Even taking a single payment in a year means the business must follow the rules, though the requirements are more detailed if it processes large numbers of payments. Breaching the rules could not only mean financial penalties, but losing the ability to take card payments at all. To deal with the threats, a business must address two issues: what to do and how to do it. The real key to the former is understanding that data protection is as much about procedures and planning as it is the specific steps the business takes. The old line about prevention being better than cure certainly applies to cyber-security. Establishing good data practice and procedures among staff is less about making sure they know how to do it right and more about making sure it’s impossible for them to do it wrong. It’s all about making sure systems and networks are set up in the right way and the business plans for every risk scenario. It’s vital to thoroughly and repeatedly test your systems to at best spot threats early enough to mitigate them and at worst spot breaches early enough to limit the damage. As for how to do it, getting professional help is the way to go for most small businesses. It’s not just that cybersecurity specialists have the technical knowhow and tools to protect and maintain your systems. They also have the outside perspective and experience to identify the threats and risks that a business’s own staff might never think about because they are so familiar and comfortable with their existing set-up. A big change is coming, and it’s a change that every multinational company that has dealings in the European Union will need to prepare for. On May 25, 2018, the General Data Protection Regulation (GDPR) comes into effect, and it will govern how multinationals manage their data processing and protection policies. Failure to comply with these regulations could result in costly penalties, not to mention damage to reputation. But what is GDPR, how will it apply to U.S. businesses doing business in the European Union and what are the penalties for non-compliance? 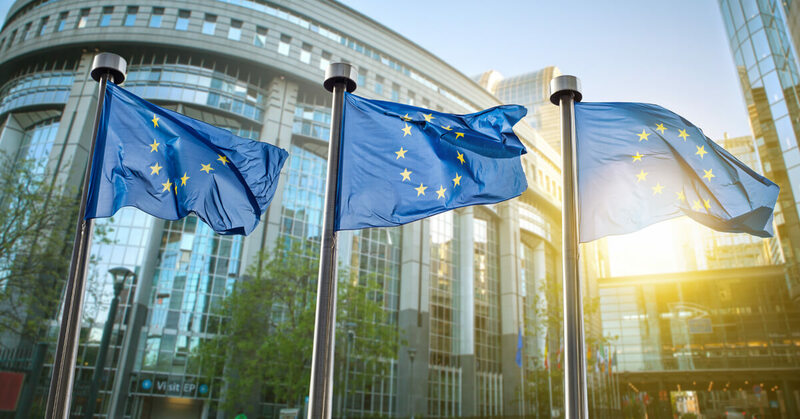 In this article, we will explore the elements of GDPR that every multinational company needs to know, and how to make the final preparations for the May deadline. 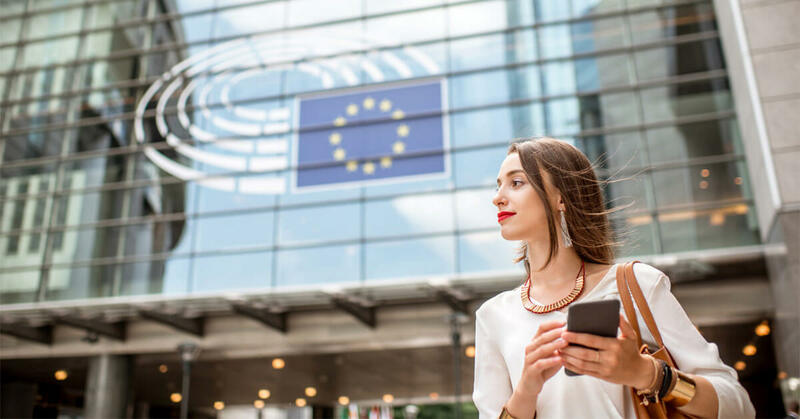 Over the past couple of months, there has been a lot of talk about GDPR, which is to be rolled out across Europe and which will impact any organization that stores the personal data of EU citizens. This isn’t legislation that has simply been pulled out of a hat; it is the culmination of four years of efforts by the Council of the European Union, European Commission and European Parliament to update data protection, especially in areas where people give permission to organizations to use their personal data in exchange for “free” services. How Will This Affect US Companies That Do Business in the European Union? The regulation has taken years to come to pass but was approved officially by European Parliament on April 14, 2016. Any organization that stores the data of European citizens has until the May deadline to get their GDPR houses into order. After this date, penalties will be issued to any company that isn’t working in compliance with the guidelines. •	Be ready to disclose details of security breach incidents with customers. Depending on the severity of the breach, you may be forced to share this information. GDPR is legislation that must be taken seriously, and the possible penalties illustrate just how serious non-compliance could be for any company. Organizations that fail to comply with the guidelines could face a fine up to 4 percent of global revenue or €20 million (whichever is the higher value). Companies that fail to conduct impact assessments following a security breach, or who fail to notify the relevant security authority following a breach, could face a fine of 2 percent of global revenue. GDPR can be complex and understanding where to start can be daunting. At GXA, we offer a comprehensive range of IT solutions that can help multinational companies to identify and manage GDPR data and protect their bottom line and reputation. From carrying out an audit of all company data to designing a cloud infrastructure that ensures secure and practical management of that data, we tailor our solutions to suit the needs and demands of each individual business today and into the future. Several high profile hacks in the past 12 months have demonstrated that cyber security is a critical concern, regardless of industry. Hackers are becoming more sophisticated and are targeting even the largest, most well known companies. This article will explore several emerging trends in the cyber security space. “AI” and “Machine Learning” are frequently used but poorly understood terms. In short, AI software simulates intelligent behavior, while Machine Learning is a form of AI where computers can learn from experience without specific programming. Both have the potential to dramatically impact the world of cyber security. AI cyber security software can improve security and response times by rapidly identifying threats and defending a computer network without direct human input. In addition, Machine Learning would allow this software to “learn” from previous attacks and continually update its suite of defensive strategies. Unfortunately, these technological advances benefit attackers as well. AI can also empower hackers and make them more effective. Offensive AI software could in theory scan networks for vulnerabilities based on previous “experience” and carry out attacks the second a vulnerability is found. IoT is the next frontier for “smart” devices and encompasses both commercial and consumer applications. IoT is defined as a network of connected devices that are always “on” and are able to communicate and receive software updates. The problem is that IoT devices, which range from industrial control systems to refrigerators, are often not developed with security in mind. In many cases, security protocols are basic or even nonexistent. Devices may not be password protected or are easily reprogrammed, and hackers are always hunting for vulnerabilities. One journalist created a virtual “smart” toaster, which was targeted by a hacker within an hour of being connected. One strategy hackers use is to install malicious code to make devices malfunction and then “ransom” owners, who pay to have their devices restored One hotel had its key card system disabled and had to pay to allow guests back into their rooms. As IoT devices proliferate in the home and in the workplace, hackers will have an ever-growing number of vectors to target. Bank accounts are one of the top prizes for hackers. Seizing the right password or personal information often allows hackers to empty an account before the victim is even aware of the intrusion. The growing popularity of mobile banking has created even more attack vectors that can be exploited. In addition to dollars, hackers are increasingly targeting cryptocurrencies, which are loosely regulated and difficult to track once stolen. Cryptocurrencies are often stored in a digital “wallet,” which serves as a personal account. While some wallets are “cold” (not connected to the internet), “hot” wallets are, and a prime target for hackers. In the last several months, a Ukrainian hacker groups known as Coinhoarder reportedly stole $50 million by “poisoning” search Google search terms. Users trying to reach Blockchain.com, a legitimate digital wallet company, inadvertently clicked on links to malicious sites that were designed to look similar. Users then entered their personal information, which was captured and later used to empty the digital wallets. Given the wild price fluctuations of Bitcoin and other cryptocurrencies, hackers will likely intensify attackers against digital wallets and other sites that support cryptocurrency trading. Cyber Security is a never-ending arms race between attackers and would-be victims. Companies and individuals can never be “safe” from hackers, but understanding the threat makes it easier to determine the right defensive strategy. Making sure you can “harden” your network and critical information may make all the difference the next time hackers try to make your company the next victim.